The workshop test system SLU is a system with which you can test objects quick and easy in a fixed workhop setting. Through its design the test objects are filled rapidly via the large orifice tubing and by-pass check-valve, and objects can be quickly serial tested by pre-setting the pressure. Not only provides the SLU test equipment that can efficiently be integrated in your operation process, it is is also benefitting a save and responsible working environment for your employees. Because the SLU can only build up pressure with a closed cover that is made of a fully impact resistant polycarbonate window. In operating the SLU one can immediately start testig objects in a straightforward manner. The object is positioned in the spacious test compartment and connected to a high pressure outlet and return connection. After that, a sequence of object prefilling, de-airing, pressurizing and bleeding is performed without opening the cover. The pressure build up by the Resato high pressure pump is automatically stopped when the set pressure is reached, which saves energy and reduces the noise level in the workshop. The SLU offerse you the possibility to clearly read the test pressure with the calibrated test gauge and monitor the bleeding process with the visual de-air indication. 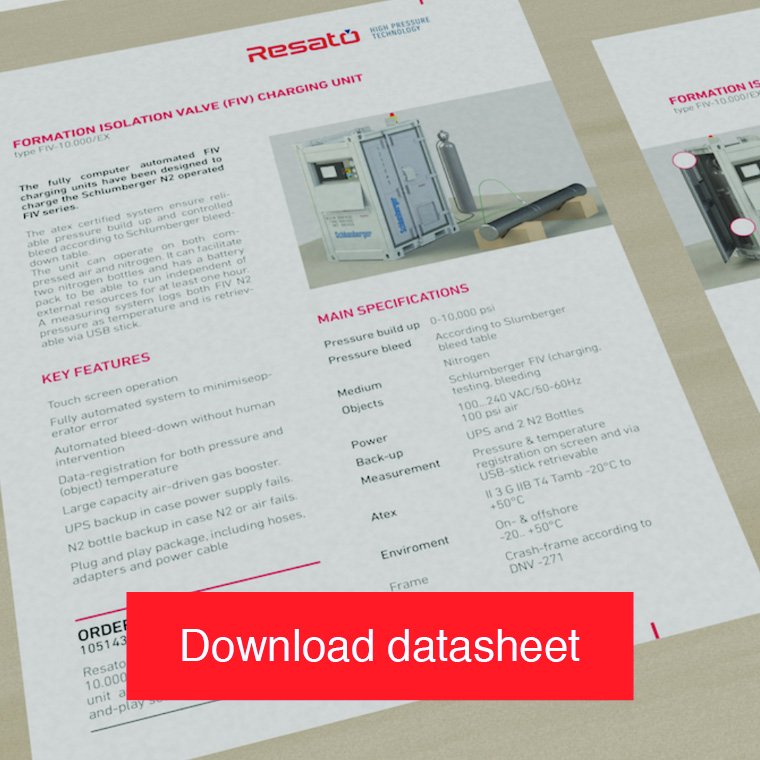 Optionally you can choose to read the test results via a digital pressure read-out, or add a Resato PC data acquisition and recording system for creating test certificates.